Classical Mandolin Plectrums in the Embergher-Ranieri style. 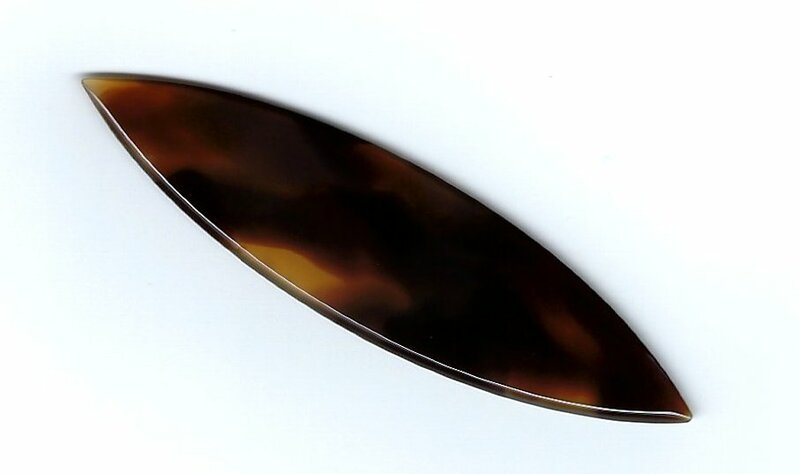 These plectrums are approximately approximately 1.85mm thick, 17.5mm wide and 67mm long. These would work very well for Mountain Dulcimer and any other stringed instrument which requires a plectrum such as this one.